Seven graduate students in Notre Dame’s Department of Psychology recently won competitive fellowships and scholarships. 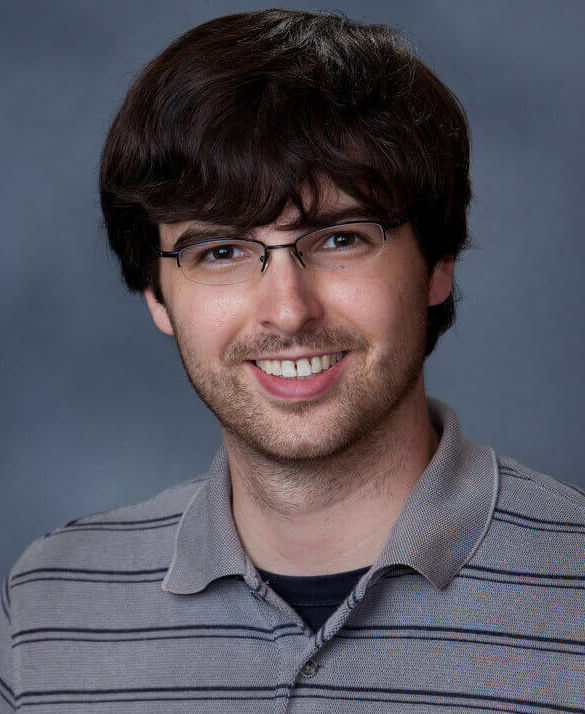 Ian Campbell has been awarded a 2016 Graduate Research Fellowship from the National Science Foundation, which honors students pursuing research-based degrees in science, technology, engineering, mathematics, and the social sciences. Campbell said the NSF fellowship is a great honor, which will give him more time to focus on his research and establish a strong base for his career. He chose Notre Dame for his graduate studies because of the strength of the quantitative psychology program and its faculty. Campbell also appreciates the program’s close connection with the Department of Applied and Computational Mathematics and Statistics in the College of Science—and has earned a master’s degree in ACMS while pursuing his Ph.D. in psychology. His research examines the model selection process and different ways of correcting for model selection uncertainty when analyzing human behavior data. Six other psychology Ph.D. students have also earned competitive fellowships and scholarships in recognition of their research. Chang Che and Maxwell Hong were awarded the Rev. James A. Burns Fellowship. Notre Dame’s Institute for Educational Initiatives (IEI) launched the interdisciplinary fellowship program in 2016 to train graduate students in state-of-the-art quantitative methods, allowing them to examine the impact of educational policies, programs, and practices. Mengyu Melinda Gao received an International Peace Scholarship for the 2016-2017 academic year. The scholarship aims to support women from other countries for graduate study in the United States, with the belief that education is fundamental to world peace and understanding. Kristina Krasich was accepted into the Summer Seminars in Philosophy and Neuroscience (SSNAP) fellowship program through Duke University and The Templeton Foundation. This one-year fellowship includes a two-week seminar series at Duke, discussing the inquiry in philosophy and neuroscience and funding for a culminating fellowship project. The fellowship is the result of a collaboration between Krasich and Samuel Murray, a graduate student in the Department of Philosophy. Both belong to an informal, cross-disciplinary group run by graduate students on campus—Conversations on Brain, Mind, and Behavior—and submitted a team application to the fellowship. Originally published by Carrie Gates at psychology.nd.edu on March 02, 2017.